Next week, Sept. 25th-27th! 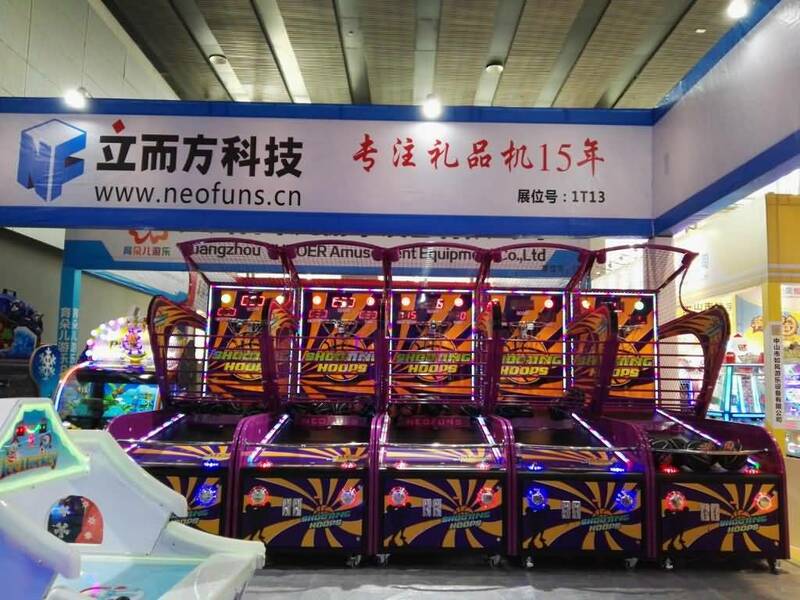 Stop by booth #1-1822 to play our newest creations and hot sale basketball game machine, crane machines at the year’s premier event for international attractions and amusement professionals. Euro Attractions Show is a Trade Fair for the attraction industry in Europe. Many visitors take part in it every year to develop and to buy new attractions for their institutions and to see what’s new in the industry. In addition, the fair is a good opportunity to learn best practices and to make contacts. It is aimed at professionals from theme parks, zoos, aquariums, museums, casinos and other establishments in the industry. EAS 2018 is an all-encompassing destination for leisure and attractions industry professionals, including operators, suppliers, manufacturers, investors, developers, and anyone wishing to engage with the global amusement community. More than 11,000 industry professionals are expected to attend. 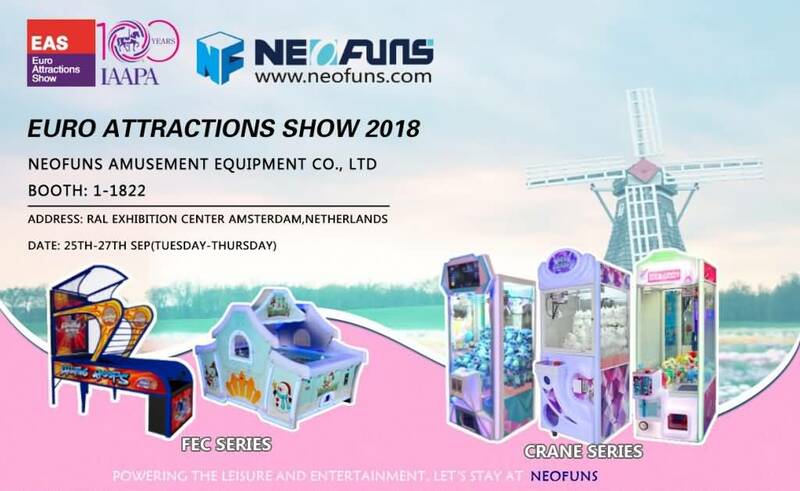 We invite you to see how Neofuns Amusement keeps the innovation for amusement equipment in Euro Attractions Show 2018 on 25th-27th Sept in the Netherlands. It is a real pleasure meeting you at the Euro Attractions Show (EAS) 2018. Dear friends, thank you for visiting our booth and check our games in EAS show.